Gangnam Style has even made Sahir Lodhi to shake his body at the blasting launch of his new morning show at Aplus, Morning With Sahir. Sahir Lodhi is back with his electrifying hosting skills for fans in new show entitled “Morning With Sahir”, currently being aired on. At the launch of this morning show, Sahir Lodhi rocked the floor on bike and amidst fans crowd, made his way to stage where he then danced vigorously. 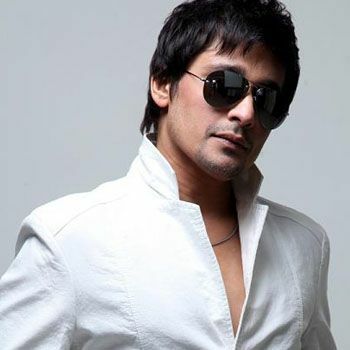 What could be the better choice than doing Gangnam Style so did the Sahir Lodhi. Fans could be excited to see their favorite host Sahir Lodhi in a morning show again but those who even can’t tolerate him almost threw their breakfasts. Sahir Lodhi is popularly known for his crisp hosting tactics but far more for his Shah Rukh Khan ridden style and now he has even tried world famous Gangnam Style. Anyways, we are impressed with his dancing talent, are you?